The story of two photo sessions and the different album covers based on. The photo session took place at the EMI house in Manchester Square, London around mid-February 1963. A well (?) 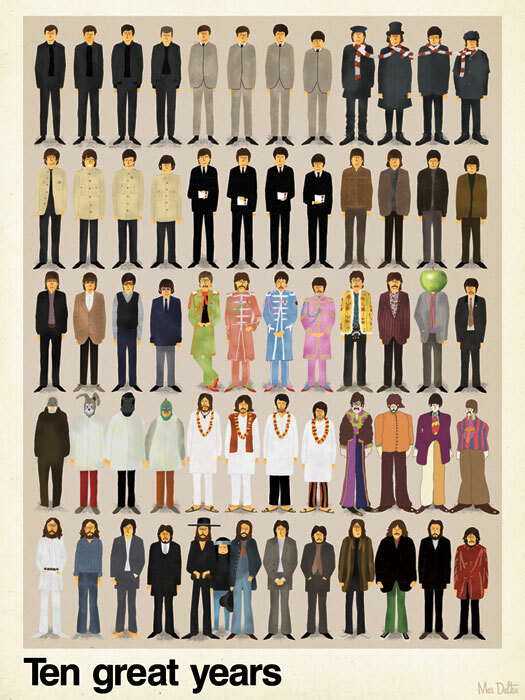 known poster by Maxim Dalton, an illustrator based in Buenos Aires, Argentina, that tells 10 years of the Beatles through their iconic wardrobes. Robert Whitaker was the Beatles’ official documenter at the height of Beatlemania between 1964 and 1966. A collection of Whitaker’s photos has been recently presented in a new book, With the Beatles published by LIFE Books. The rare pictures shows former Beatle John Lennon during his last ever interview on December 6, 1980 with wife Yoko Ono. 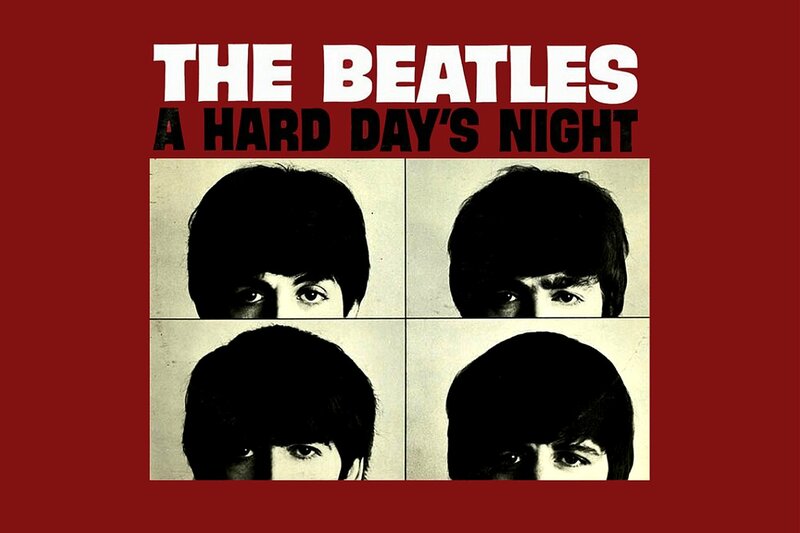 This new desktop wallpaper is based on the movie poster of A Hard Day’s Night. Pattie Boyd and George Harrison met in 1964 on the set of “A hard day’s night”, after she was casted as a schoolgirl fan for the film. George and Pattie were driving through London, in December 1965, when he proposed marriage to Boyd. They married on 21 January 1966.